Fall mini-sessions are here! Mini-sessions are a great opportunity to get some nice portraits together as a couple or as a family, for your holiday cards or just because. 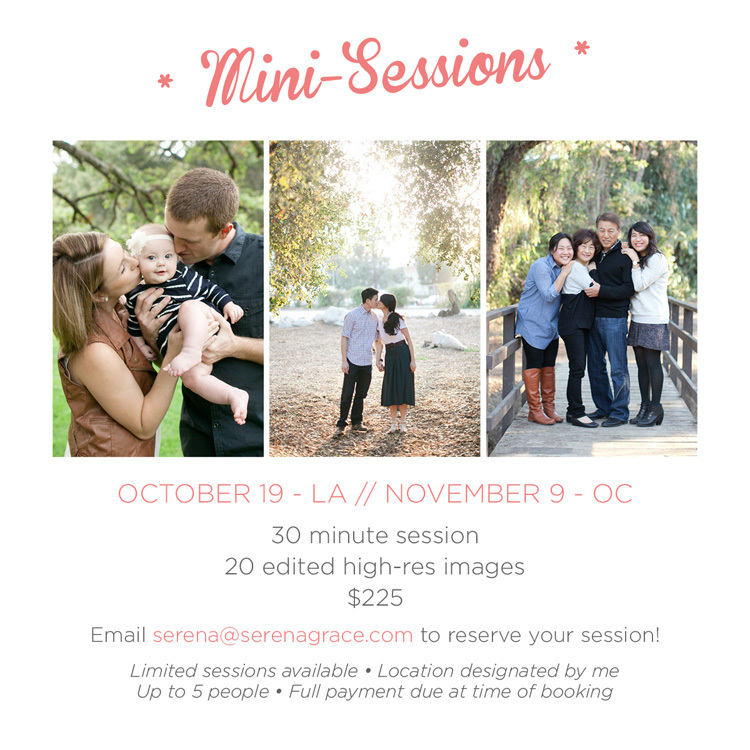 I’m offering two exclusive weekends of mini sessions – one in LA and one in OC. Sessions are limited so reserve yours today! Email me at serena@serenagrace.com for more info.